ANSWER: Anyone cleaning out overgrown areas or weeding should beware. Poison ivy (Toxicodendron radicans) may be growing among the plants. Gardeners often come into contact with poison ivy and many contract a bothersome rash as a result. It pays to be able to identify and avoid it. 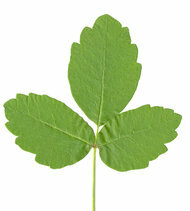 The plant has a characteristic compound leaf consisting of three leaflets (Hence the saying, “Leaves of three, let it be”). The leaflets are 2 to 4 inches long and dull or glossy green with pointed tips. The middle leaflet is generally larger than the two laterals. The margins of the leaflets are variable, appearing irregularly toothed, lobed or smooth. The leaves are arranged alternately on the stems. Young foliage often is shiny or oily looking with a reddish tint. One way to control poison ivy is to spray the foliage with a systemic herbicide. This is only possible when the spray will not get on the foliage of desirable plants (these herbicides will damage any plant). This should work well on your back fence. If needed, cover desirable plants with plastic sheets or bags to protect them while you spray. Be sure to wet the poison ivy foliage thoroughly with the herbicide solution. Glyphosate (Roundup, Eraser, Killzall, and other brands) or triclopyr (Brush-B-Gon, Brush Killer and other brands) are commonly recommended for poison ivy control. Herbicides that contain a combination of dicamba (banvel) and 2,4-D also work well. The dead leaves can still cause rashes and should be handled cautiously with gloves. For poison ivy vines growing in trees or intertwined in shrubs, such as in your ligustrum hedge, try this method: Cut off each poison ivy vine a few inches from the ground with loppers or hand pruners and immediately treat the fresh-cut stump with undiluted triclopyr (Green Light Cut Vine and Stump Killer and other brands). The cut vine will die because it has no root system. The treated stump will die because the herbicide gets absorbed and translocates to the roots. This method is effective and may be used any time of the year. Getting poison ivy off your property will take repeated herbicide applications. Older vines in neighboring yards may continue to drop seeds in your landscape. Watch out for this unwelcome plant and be prompt and aggressive in your efforts to control it. Think all the poison ivy disappeared along with your shorts and flip flops? Think again. Doctors say you can get poison ivy in the winter, and if it’s lurking on your wood pile or yard brush, accidentally tossing it on the fire could send your entire family to the hospital. The “Leaves of three, let it be” rule won’t help you in the winter. According to experts, the most commonly spotted poison ivy plants during the winter are hairy-looking vines attached to trees. Even though the plants don’t have leaves in the winter, the oil that causes that itchy rash is still active in the vines and the rest of the plant. The biggest risk isn’t from touching the plant — it’s from burning it. Todd Taylor learned that lesson the hard way, after burning some brush on his property to tidy things up for the holidays. “We started raking up pine straw, and we threw the pine straw onto the fire,” said Taylor. Todd kept a close eye on the fire, inhaling some of the smoke. The next day, his eyelids turned blood red. Taylor thought it might be a virus, until painful, itchy rashes started popping up all over his body. “Okay, I know this is poison ivy. I’ve been down this road before, but my eyes are still kind of reddish,” said Taylor. He decided to go to see a doctor. The diagnosis? Systemic poison ivy. “Systemic poison ivy is an extreme allergic reaction to the oils from the poison ivy plant,” said Dr. Bridget Loehn, an ear, nose, and throat specialist. It wasn’t touching the poison ivy plant that sickened Taylor. It was breathing in the oils of the plant as it burned, traveling from the lungs to the blood stream. Taylor was actually lucky. Inhaling or being exposed to the smoke from burning poison ivy can cause a severe reaction in the nasal passages, lungs, and throat. It can even be fatal. “Symptoms of nausea, vomiting, fever, they can have swollen lymph nodes and even develop respiratory difficulties,” said Loehn. Fortunately, Taylor’s case cleared up with steroids, allergy medicine and antihistamines. A painful lesson learned about a plant that poses a threat all year round. KANSAS CITY, Kan. — Itching to know more about poison ivy? It’s the most common allergy with two out of three people being allergic to it. For most of us, the rash occurs after we’ve been exposed to poison ivy at least once before in our lives. Bruce Chladny of K-State Extension in Wyandotte County reminds us that the old adage, “Leaves of three, let it be,” definitely holds true. “Not to confuse it with the five leaves of Virginia creeper. When you look at the plant, there’s three leaflets and that means it’s not good to touch,” says Chladny. The rash ia an allergic reaction to the oil in the plant. “So when the oil comes from the plant onto your skin, it gets into your skin and your body has that allergic reaction. It could either be through exposure as you walk through the garden…could be from touching a tool or some sort of machinery or something like that that had been in an infested areas. Or off of pets,” says Chladny. If you think you’ve been exposed to poison ivy, use soap and cold water quickly to remove the oil from the skin. Chladny says it’s important to use cold water because it keeps the pores of the skin closed. You can’t get poison ivy from another person’s blister fluid. But Chladny says if there’s residual oil on someone’s skin and you touch that, you could get a rash. To show you how powerful the oil is, five hundred people could itch just from the oil covering the head of a pin. So how do you treat poison ivy? An over-the counter corticosteroid cream, calamine lotion, a cool bath with oatmeal or cool wet compresses. You may also want to try an antihistimine such as Benedryl to help you sleep. See your doctor if the rash is widespread or on your face, if the blisters are oozing badly, or if the rash isn’t better after a few weeks. JACKSON, Tenn- Summer months mean warmer weather and more outdoor activities; but in some cases it could mean more exposure to poison ivy. With the itch-causing vines becoming more widespread this season, avoiding it can be tough. “It can be through camping, playing, gardening work, or whatever, you can be exposed to it,” said Mercker. He said while it’s ideal to wear long sleeves and pants while doing outside activities to avoid exposure, that’s not always possible for some. So learning how to identify the plant is a way to take precautions. Merker said if you think you’ve come into contact with poison ivy, wash the area with soap and water, immediately after exposure. While walking in the woods the other day, a couple of observations reminded me that it is the season that people will be venturing outdoors for warm-weather activity. Besides the many fire ant mounds that I encountered (I wrote about the scourge of fire ants a few weeks back), one plant that can cause some real discomfort was readily evident on several tree trunks and posts that I walked past. Poison ivy was heartily growing all along my route. Poison ivy has leaflets of three leaves per segment. Thus, the saying “Leaves of three, leave it be.” On many plants, the vines have hair-like tendrils that assist in attaching the vines to the tree trunks on which they are growing. Approximately eight out of ten people will have some sort of skin reaction to poison ivy. When coming in contact with the oil contained in all parts of the plant (roots, vines, stems, branches and leaves), a skin rash of varying degrees of severity will break out between eight hours and three days after contact with the oil. The rash can last a few days or two to three weeks depending on your body’s reaction to the oil and where on the body you come in contact with the oil. Touching a garden implement or clothing exposed to the oil or pet hair exposed to poison ivy are additional ways to break out in a reaction. There are also reports of people breathing in the smoke of someone burning poison ivy. The lungs and poison ivy smoke are not compatible. This can be a serious situation and medical attention is always recommended. In most cases, exposure to someone with a poison ivy rash is not contagious. It is the direct exposure to the oil in the plant that causes the rash. Although many of us do have a reaction to exposure with the oil in poison ivy, many types of wildlife readily feed on the berries that will be on the plants later on in the year. In addition to some small mammals, more than three dozen species of birds have been recorded feeding on poison ivy fruit. On one tree, accompanying the many vines of poison ivy was a similar plant often misidentified as poison ivy. Virginia creeper was mixed in with the ivy. “Leaves of five, let it thrive” is the saying that applies to Virginia creeper. There are reports of some poison ivy plants having leaflets of five, but I have not yet found this. It is advisable to learn the difference in the two types of plants. The best bet, however, is to avoid any climbing vine if you are not sure. Better to be safe than sorry. Don’t be afraid to venture out this spring or summer. Our great outdoors hold wonderful experiences for all of us. Just take a bit of time to educate yourself about the plants and animals that are our wild neighbors. In most cases, they were here long before we arrived in the neighborhood. For questions or comments, email jwalls443@gmail.com. It’s that time of year when vegetation is growing quickly, including poison ivy, poison sumac and poison oak. These notorious plants cause more allergic skin reactions (contact dermatitis) than all other plants combined. The substance that leads to the allergic reaction is called urushiol, a colorless oil in the leaves, fruit, stem, root and sap of the plant. When exposed to air it turns brown and will sometimes leave brown spots on the leaves. Contact dermatitis can affect all skin types. 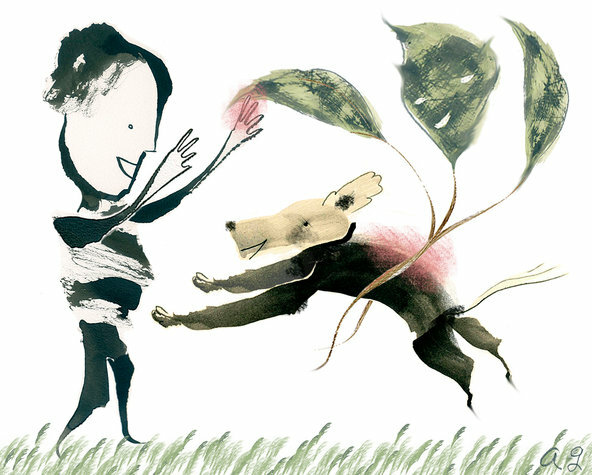 A person can be exposed to the oil in multiple ways, including direct contact with the parts of the plant described above, breathing in smoke of burning plants, touching clothing that has been exposed, or touching an animal that has been exposed. The symptoms of contact dermatitis include intense itching, swelling, redness and blister formation. Symptoms typically occur several hours to a few days after exposure to the plant oil. Symptoms can last a few days or up to three weeks. Blister formation can occur over many days and does not mean that the rash is spreading. Fluid that leaks from the blisters is not contagious. The rash itself is not contagious either. The rash can be transferred to another person only if the oil is still on the body. This is why it is very important to clean all clothing, bedding and objects that the person has come in contact with. To diagnose contact dermatitis, your doctor will examine the rash; no specific testing is needed. There are various treatment options. Antihistamines such as diphenhydramine (Benadryl) don’t provide much relief from itching, but can cause sleepiness. Better sleep may provide respite from the itchiness. Calamine lotion can help alleviate itching. Medications such as Domeboro and Burow’s solution can help reduce weeping of blisters and relieve the itching. Topical steroids are often used to reduce inflammation and itching. Over-the-counter hydrocortisone usually isn’t as helpful as stronger topical steroids that can be prescribed by your doctor. Occasionally, steroid pills such as Prednisone are prescribed if the rash is widespread. Topical antibiotic creams, antihistamines and anesthetics should not be used as they have the potential to make the rash worse. The best way to prevent contact dermatitis is to simply avoid the plants that cause it. Follow the adage: “Leaves of three, leave them be.” If you know you will be in an area with a lot of vegetation, wear long- sleeved clothing, pants and gloves to protect your skin. If you do come into contact with poison ivy, you should wash your skin immediately, within less than 15 minutes. Be sure to wash gently and don’t rub or scrub the skin. Doc Talk is a column about health issues by Wichita-area physicians. This column was written by Michael Palomino, physician at WesleyCare Family Medicine Center West, 8710 W. 13th St., Suite 105, 316-962-9760.